These instructions outline the steps you need to follow if you need to send your inscan file to the Document Imaging team or a co-worker. This file allows the user's capture profile settings to be shared with others. This file is used in the instructions for importing a capture profile. 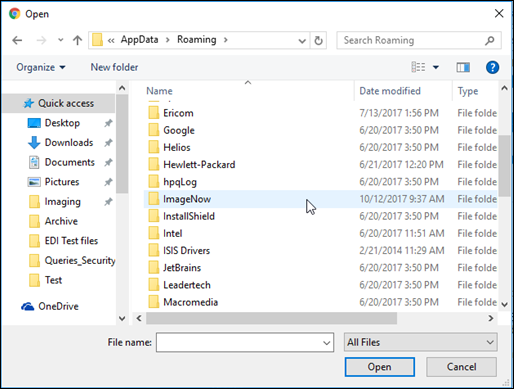 To find the inscan file do the following on the windows explorer window, in the box, (clear out what defaulted in) and type %appdata% and click Enter. 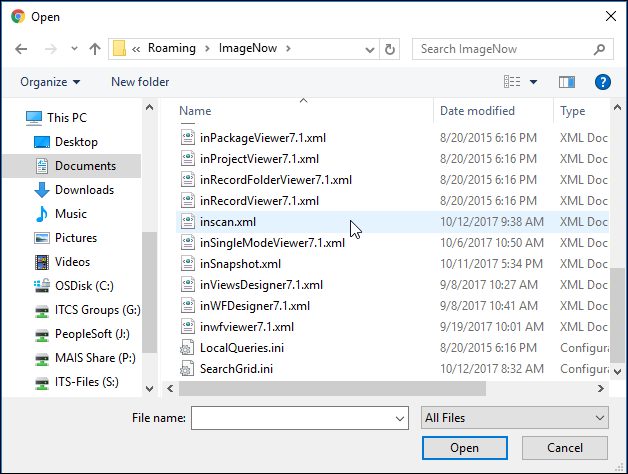 You will see an ImageNow folder. Double-click to open that folder.